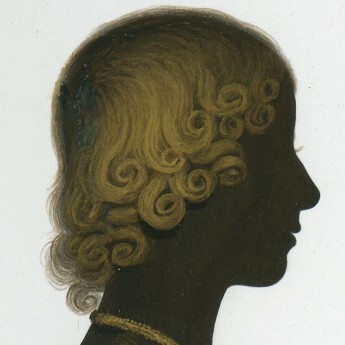 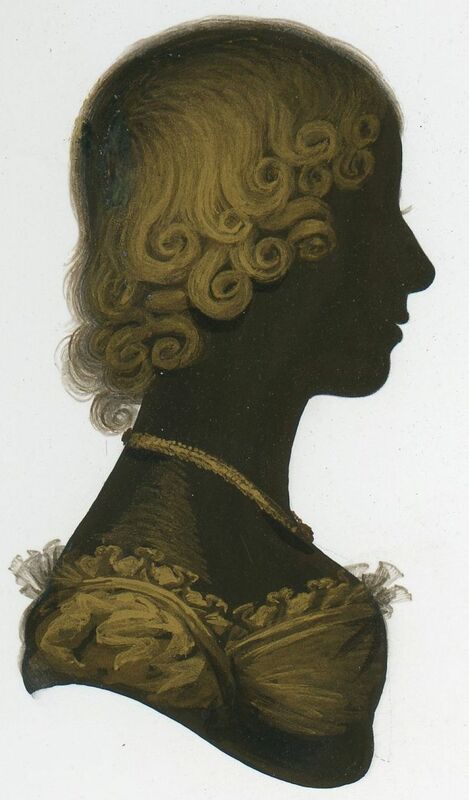 A painted and finely bronzed silhouette of a young lady, Miss Galton, in a high-waisted dress with a square neckline trimmed with lace and a beaded necklace, her hair is arranged in short curls. 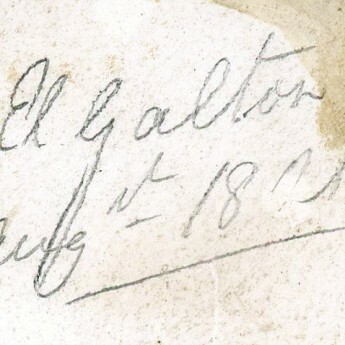 Painted on plaster, the reverse is inscribed in pencil ‘Miss El Galton / 15 Augt 1801’. 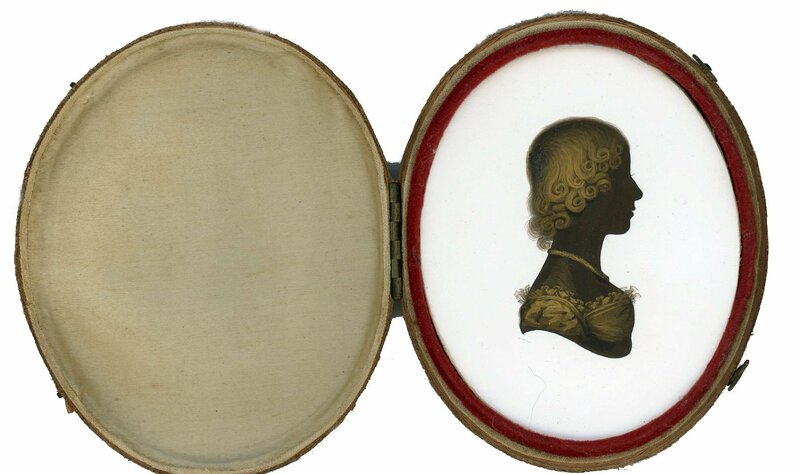 The silhouette resides in the original red leather travelling case lined with cream silk. 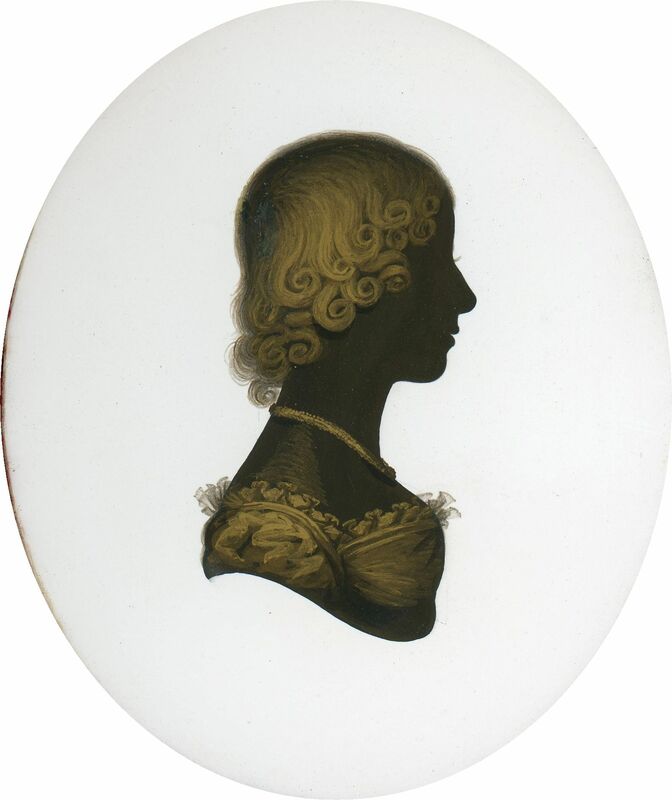 There is a small area of restoration to the back of the head but this is only visible when viewing through a glass. 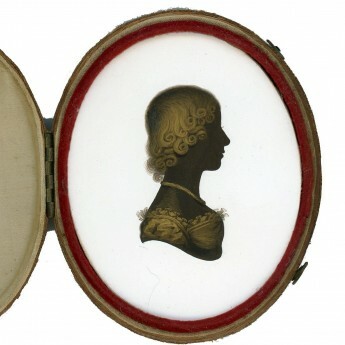 The outside of the case is also worn with very slight bowing but the fastening hooks are both intact so it closes fine.